All three of our stories in this issue of the State of the Internet / Security report are about things most organizations aren’t examining. Whether the cause is that organizations don’t perceive some issues as important to their environment, if they don’t have tooling to monitor these issues, or if the resources to monitor this traffic are not available, this traffic is often being overlooked. 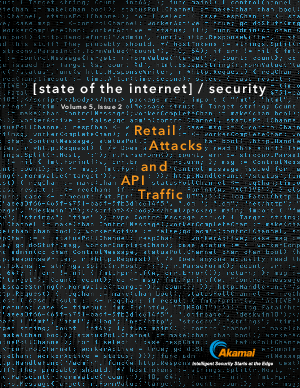 Each of the stories in this issue of the State of the Internet / Security report looked at aspects of security (credential abuse/APIs/IPv6) that are often overlooked by the mainstream but are nevertheless important to day-to-day operations. These stories create a backdrop for what we expect to see in the upcoming quarters and years.